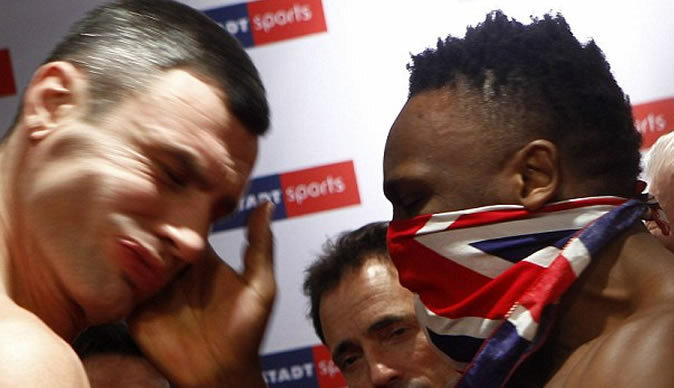 Dereck Chisora "needs help" to control his temper, according to the manager of the Klitschko brothers. The British boxer was banned indefinitely by the World Boxing Council following the brawl with David Haye in Munich and Bernd Boente said the decision to ban him was correct. "I think it's the right step because somewhere and somehow you have to stop people like Chisora," he told the BBC. "It's the right way to go and I think someone has to help him." He added on BBC World Service: "He beat his former girlfriend, he slapped Vitali, he spat at Wladimir and was completely out of his mind in the locker room while bandaging so the guy I really think needs help."